Providing the right high quality protection for your personal investments requires a broker who has years of experience insuring these types of assets. At Edwards and Company, we strive to provide you tailored solutions that provide the highest levels of protection at a price and risk level that is acceptable to our clients. 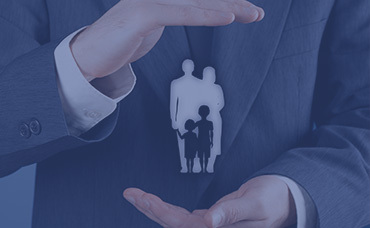 Our Private Client Division is designed specifically to meet the needs of high net worth individuals and families whose insurance portfolios require some additional focus. These clients are serviced by a designated team that handles this segment exclusively, and understand the unique risks and needs of these clients. From high value prestigious homes, to high performance vehicles, yachts and rare collectibles, Edwards and Company Private Client Division has the capacity and understanding to advise these clients in the manner they require. Whether your personal insurance needs are traditional and straight forward, or more complex and sophisticated, our service model provides all of our clients with a designated account executive and claims advocate. See the difference our industry expertise and service can make to your life. For a complimentary personal insurance consultation, contact us. Protect your homes, vehicles, valuables, boats and much more on a single package policy. We work with the nation’s finest insurance carriers to provide maximum protection with singular, cost effective insurance solutions. From high end & hard to place insurance needs to the everyday, choosing Edwards and Company is your assurance that you will get the best protection for the best price. Our uncommon array of insurance carrier options allows us to provide the solutions other agencies cannot. In addition to traditional “homeowners” insurance we offer coverage for renters, condo/co-op owners, and multifamily homeowners. Get the peace of mind that comes with having an insurer on your side, ready to respond to the perils of the road. Damage to your vehicle, injury, or even a lawsuit: we understand the risks you face in everyday life, every time you get behind the wheel- when accidents happen, having the right insurance means everything.